The initiation of FW14B goes back to the winter of 1984 when we were approached by AP, with whom we worked closely on brakes and clutches. They had been developing an active-ride system for road vehicles and, having decided not to pursue it commercially, thought the system could have merit in racing. At that time F1 cars were using very stiff suspension to cope with the high aerodynamic loads and to avoid using high static ride heights. 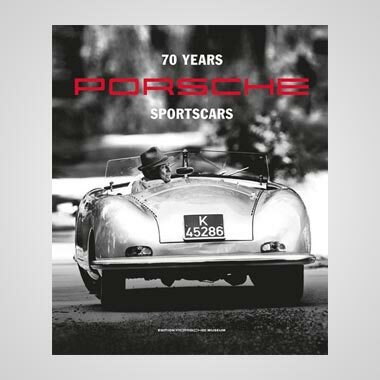 AP felt that active ride offered a more compliant contact, through softer suspension and hence lower wheel frequencies – without any loss of platform control through pitch, roll and ride height changes caused by aerodynamic loads four to five times greater than the vehicle weight. The AP system managed ride control of a ‘three-legged’ platform via valves controlling flow of high-pressure hydraulic oil, the valves being controlled by linkage to suspension and a parallel inertia-based system. Frank Dernie took charge of the programme with design integration from our general design office. The first test car, a Honda-engined FW09, was not ready to run until the winter of 1985 and the first test at Silverstone was disrupted by a major turbo fire. It soon became clear that an electronic digital control system was needed, using Moog proportional servo spool valves, rather than the mechanical system. Kurt Borman of Motion Technology US was commissioned to design the controlling hardware, once he and Frank Dernie had confirmed the control strategy and operating software. The previously difficult characteristics of the Honda engine came good in the middle of 1985, Nigel Mansell and Keke Rosberg winning two races each, and it was clear that we could win championships in 1986. So we had no plans to experiment with new technologies that year. 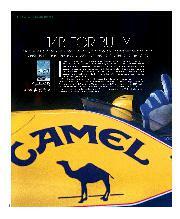 An active-ride car, based on the FW11, came back into play in 1987 at the pre-season tests in Brazil. By this time we’d realised that the main function of the platform control was not so much in allowing softer suspension but in controlling aerodynamic load distribution. Flat bottom rules were in force and with them came significant benefits of ‘blowing’ the diffuser which produced low-speed rear downforce when traction was critical. We identified these advantages when comparing the passive car with the active ride car in those pre-season tests. Nelson Piquet was always very keen on any new developments and did all the test driving through 1987, while Nigel Mansell was less positive. He had done the early Lotus active ride work and had suffered more than once with the car sliding along on its skids with all the wheels driven to ‘full bump’ – i.e. off the ground! Despite being in the hunt for the championship in ’87 Nelson asked to race the active-ride car at Monza and proceeded to win the race from Ayrton Senna in the active-ride Lotus. It was a close result as Nelson’s tyres had blistered. Nigel then showed an interest so we converted another FW11 which we tested at Brands club circuit and he set a new track record. We then took four cars to Jerez, two active and two passive, but we suffered from bouncing in the fast corners so Nigel raced a passive car, coming second to Senna by 0.014sec. The championship was very close, by this time just between Piquet and Mansell, so we withdrew the active-ride cars – much to the annoyance of Nelson, although he won the title after Mansell had a practice accident at Suzuka. The end of ’87 brought the end of our involvement with Honda despite having won the drivers and constructors championships. For 1988 we moved to the Judd 3.5-litre engine and were determined to be competitive with the much-reduced boost and fuel for the turbo cars. 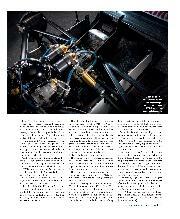 The FW12, which featured our first transverse gearbox, was designed exclusively for active ride. In Brazil we qualified second only to Ayrton Senna in the McLaren with Honda power but the first half of the season was dogged with problems cooling the engine oil, and with instability and bouncing – most of which was connected to the active-ride system. At Silverstone we converted the cars back to passive suspension between Friday afternoon and Saturday morning, no easy task as the active ride actuators had to be converted into spring damper units. Nigel qualified well, however, and came second in the race. We ‘retired’ the active ride for the rest of the year. It was clear we still had some system problems to solve, in hardware and in the sophistication of the control software. 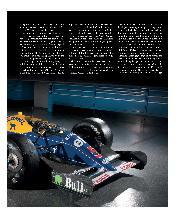 For 1990 we established a separate test programme for active ride, the system being installed in an FW13B. Frank Dernie had moved on to Lotus to join Nelson at the end of 1988, and Paddy Lowe took over overall responsibility for development. 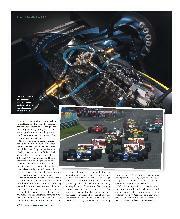 Steve Wise designed a new Williams controller and data recorder with more advanced processors. This was a buoyant team, with David Lang and Paddy Lowe working hard on the development and seeing good progress. Mark Blundell, whose sense of humour certainly helped it along, did the bulk of the testing miles. 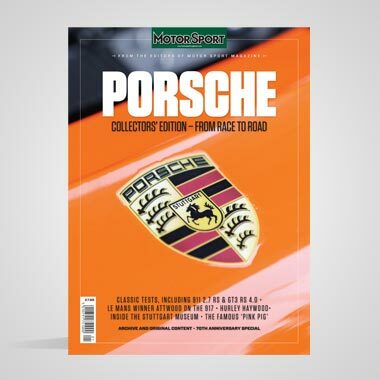 In its earliest form the system was prone to leaks and David Lang recalls a test day at Pembrey in South Wales when Blundell hid a leek in the cockpit. He went out and reported over the radio that there was a ‘massive leak’ in the system and that he was coming in immediately. Paddy Lowe was obviously concerned and mechanic John Cadd removed the inspection hatch, peered in, and confirmed that yes, there was a leek. He then reached in and produced the Welsh vegetable much to Paddy’s relief – and everyone else’s amusement. It was clear by this stage that the active car was significantly faster than the passive car, but reliability still had some way to go. In June 1990 we recruited Adrian Newey, who’d been let go by Leyton House, as chief aerodynamicist and within a week he was promoted to chief designer as I could see that he needed and justified a higher level of responsibility. 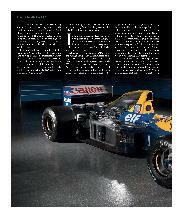 He focused on the new car, the FW14. The car had strong heritage, in its visible surfaces, to the Leyton House but was further developed using the wind tunnel at Southampton University. The FW14 and 14B have often been described as Adrian Newey cars but, while he was very much responsible for the outer surfaces, and general architecture, there were a great many other people involved in the design and engineering. Adrian would be the first to accept this. The test programme for the active-ride system was running in parallel, with Damon Hill driving, as Mark Blundell was now racing in F1 for Brabham, while David Lang, Simon Wells, Paddy Lowe, Philip Farrand and Steve Wise were responsible for the various systems and their development. So, despite limited resources, this small unit kept the programme going alongside the race team and the system was by now showing great potential. At this point we were also working with four-channel anti-lock brakes, traction control and a six-speed transverse sequential semi-automatic gearbox. Traction control was, I think, one of the easiest and most rapidly supplied 0.5-0.75sec gains in speed that has ever been applied to a racing car. Paddy Lowe joked that it took him about 15 minutes to write the code for the first system. Not quite the case, but close. Rear wheel speeds were compared with mean front wheel speed, and if overspeed was detected a ‘cut number’ was transferred to the engine controller, the number of cylinders being ‘cut’ depending upon the level of rear overspeed. Control strategy became more sophisticated quite quickly. 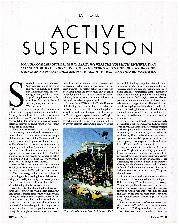 By 1993 it became an emotive topic and Max Mosley saw it as some kind of evil interference by engineers. All we wanted to do was to go quicker and this was a way to do that. It was right that it was banned, though, as it did remove some skill requirements from the driver, particularly in wet or slippery conditions. 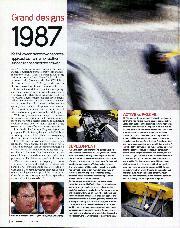 Back on the track, the FW14 for 1991 was a much faster car than FW13, mainly due to improved aerodynamics. 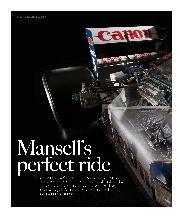 Nigel Mansell had gone to Ferrari at the end of ’88 but returned for 1991 and we should have won the title that year. Nigel and Riccardo Patrese recorded seven wins between them but Ayrton Senna’s McLaren had better reliability. The McLaren was pretty conventional, but had great power from its heavy Honda V12. It took us four races to sort out the semi-automatic transmission, the first in Formula 1, although John Barnard had introduced a hydraulically operated transmission with Ferrari in 1989. The cause of the problems was trivial but it took time to identify, allowing Ayrton to win the first four races and, despite some race wins for FW14, it was not enough to catch and overhaul Ayrton and McLaren. Through 1991 the active ride car was developed, moving from gas springs, with associated high rising rate, to linear packs of disc springs with little or no rising rate. This cured the high-speed bouncing on the tyre sidewalls as the suspension was now sufficiently compliant at high load. Through the winter of ’91-92 we worked hard on reliability. David Lang was responsible for the active hardware while Simon Wells oversaw system development and improving our operational and support capability. Throughout that 1992 season the 14Bs were totally reliable apart from a problem with shedding the hydraulic pump belt on both cars, at identical mileage, at Monza in September. The car was on pole for 15 of the 16 races, took 10 wins, 10 fastest race laps, Mansell taking the drivers title and Williams winning the Constructors Championship. In qualifying at Silverstone that summer Mansell was almost two seconds quicker than anyone else, going on to lead every lap of the race and taking fastest lap. That was a particularly satisfying performance for the team. Nigel proved to be particularly adept at getting the best from FW14B, whereas the car troubled Riccardo Patrese – even though he’d been fully competitive with Nigel the previous year in FW14. Nigel showed little interest in active ride in 1986 and ’87, when we ran the Honda engines with him and Nelson Piquet, and when he came back from Ferrari in ’91 he still wasn’t that interested until he heard about the lap times Damon Hill had been achieving in testing. By that time he too was also more convinced about its safety. Our active control responded to changes in load distribution, but there was always a small period before the system corrected, and during that period the usual feedback to the driver was not present. There was a fraction of a second delay and it felt to the driver as if he didn’t have roll stiffness or roll resistance. Riccardo found that hard to deal with but once Nigel had worked out that, on the other side of this correction, the grip was still there, he learnt to ignore the slightly floaty initial feel of the car. Our active system had fixed front to-rear-roll stiffness distribution, but we were able to powerfully adjust the balance of the car by altering the angle of attack – in effect changing relative front and rear target ride height. We could do this ‘on the fly’, eliminating any understeer or oversteer characteristic, applying the correction continuously to each metre of the track. To partly overcome the response lag of the system mentioned above, Paddy applied ‘feed-forward’ [an ‘early warning’ signal], in part predictive and in part responding to sensed lateral and longitudinal acceleration. Had active been permitted in 1994, we would have moved away from the AP-based ‘tripod’ system towards the [four-channel] system eventually used by McLaren, and now partly present in pitch and roll control on the MP4-12C road car. So active ride has not completely gone. The FW14 had Adrian Newey’s Leyton House-style very tight cockpit and Nigel, with his strong hands and big knuckles, was using a very small steering wheel. We had power steering at the time but his upper body and arm strength probably helped him deal with the loads and the kick-back in the steering. At the time of FW14 we appeared able to think of an idea and apply it very quickly. Now it seems to take a long time between initiation and application of a new system. The rules are now more limiting, the cars more complex and more tightly packaged. Most teams now have braking systems that change the brake balance depending on whether the driver is increasing, or decreasing, line pressure. When we introduced ABS braking to the FW14, it was a more sophisticated system than that already used by Volvo and other road cars, but not yet on an F1 car. There were more freedoms within the regulations in those days but I would not call it a ‘golden period’ for engineers. I have heard the FW14B described as one of the most technologically advanced racing cars ever built but the technologies we see today are of a very high standard right across the field and things like KERS and DRS are still a strong engineering challenge. 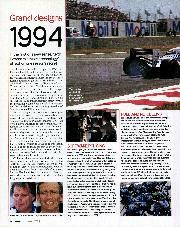 The ultimate development of the active ride programme was the FW15 of 1993. At Donington that year the European Grand Prix was run in extremely wet conditions and we had both cars on the front row, Alain Prost on pole and Damon alongside him. But the race was a very different story. The active car was controlled to run a few millimetres above the ground, certainly a maximum of 5mm, and this was a problem because the water on the track was deeper than that. 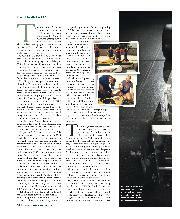 The cars were aquaplaning, not so much on the tyres, but on the large flat bottom of the undertray. This explains why Prost made seven stops for tyres and Hill made six. In fact there were controls available in the cockpit to raise the target ride heights but we never thought to use them. I cannot remember why. This is not to take anything away from a great drive by Ayrton Senna in the McLaren, but simply to illustrate what can go wrong in extreme conditions. As is now history, the active-ride cars won World Championships in 1992 and in 1993, but there was a lot of talk about active ride being a driver aid and it was eventually banned. 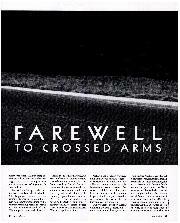 It was never a driver aid, but Max and Bernie called all the team principals together at Hockenheim in 1993 and told them that if they didn’t agree to ban some of the new technology, including active ride, and sign an agreement that night, they would be witnessing the death knell of Formula 1 as they knew it. At the time Ferrari was struggling with both its aerodynamics and its active ride development, so a ban would, let’s say, have helped Ferrari while we would be disadvantaged. So, in the end, this abrupt changing of the technical regulations effectively marked the end of the active-ride car. But I have to say that I’d much rather be in a position where we are inventing technology that gets banned than trying to prevent other people applying new technologies. Last year, for example, we tried to get ‘hot-blown diffusers’ banned and that’s because we were not able to use the system to full effect ourselves as the Cosworth had not been validated for it, an expensive process. Historically, regulation changes have gone against the winning teams and Williams was often on the receiving end of that because for many years we were winning races and titles. That’s how it’s always worked in F1. I hope to see Williams at the receiving end of such imposed limitations again in future – it will only be because they are being more creative than other teams.